It will probably be too late to buy into the bomb and missile maker on Monday morning, but I’ll bet that the people who count are already in. The shares were up 1.33% to $101.52 at Friday’s close on the expectation that UK’s MPs would vote in favour of going back to war. With a P/E of only 15.8 there could still a lot of upside left and the quarterly dividend of $0.605 is not too shabby either. This good news for Raytheon is on top of the good news that Saudi Arabia, the UAE, France and Denmark will also be dropping their products over the sands of the Middle East. It can only be hoped that Raytheon has learned it’s lessons from the Libya campaign and it can keep up with demand. 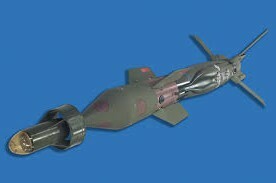 The commons vote means that there are another 6 aircraft dropping Raytheon’s finest munitions in the Middle East. The Royal Air Force will deploy 6 Panavia Tornado GR4 aircraft to Iraq and they will be equipped with the Paveway IV, a so called smart bomb, which is guided to it’s target by GPS or laser designator. Each bomb costs £30000. That’s enough to house, feed and clothe a family of 4 for a year and still have some change for a holiday! This cost does not include the cost of the delivery platform but, I’m sure you’ll all agree with David Cameron, that it is a small price to pay for keeping the “brutal terrorist organisation” off the streets of Britain. Indeed we have a “duty” to do so. But let us consider where IS came from. After the warmongers Bush and Blair conducted their illegal invasion of Iraq in 2003, the Sunni group al-Qaeda in Iraq (AQI) rose up to fight the invaders. They joined with other Sunni groups to form the Mujahedeen Shura Council which then became the Islamic State of Iraq. Their main area of operations were in the predominantly Sunni areas to the north of Baghdad. Their extreme views and violence against the civilians in the areas which they controlled led to The Awakening, in which the more moderate Iraqi Sunnis pushed them out. There then followed a period of consolidation and another name change to ISIL, the Islamic State of Iraq and the Levant. Their stated aim was to create an Islamic state, or caliphate, in Iraq, Syria, Israel, Jordan, Palestine, Cyprus and southern Turkey. The group entered the Syrian civil war and made astounding gains in both territory and materiel, they then pushed south towards Baghdad, east toward Kirkuk and west towards Jordan. The Iraqi armed forces fled in terror, they did not have the stomach to fight for the puppet government in Baghdad. It was only the Kurdish forces which managed to halt their advance, along with some assistance from the Iraqi Air Force. So you can see that it is the US and the UK’s actions in Iraq which led to the rise of IS. It is therefor quite ironic that we are having to go back there to clean up the mess that we helped to create. But as I mentioned in an earlier post the bombing on it’s own will not defeat IS, they will just move into the cities and hug the civilian population so that they cannot be bombed without unacceptable “collateral damage”. As the last foray into Muslim lands, Libya, showed the availability of targets for the aircraft could quickly dry up. Unless IS are so unhinged that they will drive about the desert in pick up trucks, black flags flying, just to tempt the infidel to spend another £30k. The only way that IS will be defeated militarily will be to attack them with ground forces and it would appear that the Free Army of Syria are being groomed for the job. They will be equipped and trained then sent against IS. Of course they are busy fighting the Assad regime so, if I were Assad, I would wait until FAS start attacking IS then I would move against them. This would then draw the Americans in to the civil war and the Russians would also join in. Cue WW3, but in the quagmire of the Syrian civil war anything could happen. The next thing to watch out for is “Mission Creep”. Did you notice how David Cameron explicitly left the door open to attacking Syria without asking the permission of parliament? Once all of the IS targets have disappeared then the next targets will be other groups in the Syrian war who don’t fit in to the US’s world view. The UK will follow on like a good poodle in order to lend some legitimacy. The operation is going to last for years, it is going to cost us millions which could have been spent elsewhere. Isn’t it funny how money can always be found for war but not for housing, feeding and educating the poor? I wonder how many MPs have shares in Raytheon? This entry was posted in Syria/IS and tagged bomb, Iraq, IS, Paveway IV, Raytheon, Syria, Tornado, UK, Us on 26th September 2014 by the45.